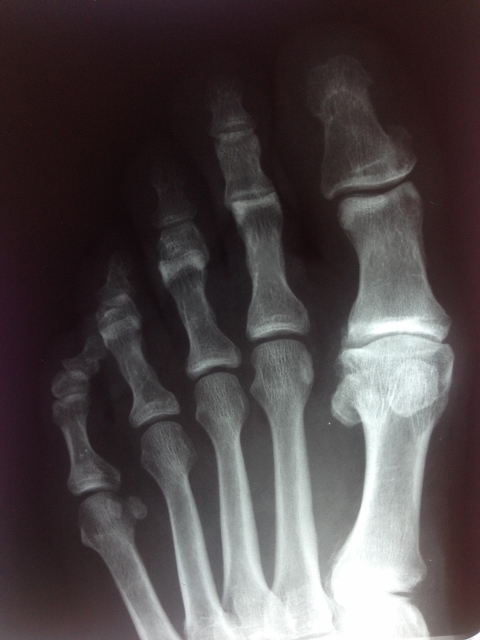 Abnormal bone structure (long or elevated first metatarsal). Mild bunion deformities with a crooked big toe. 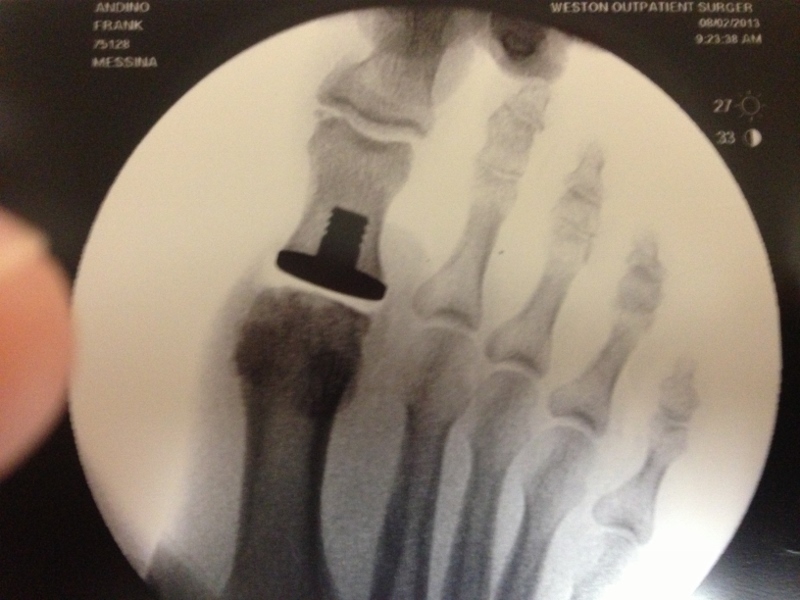 Progressive loss of motion to the big toe joint. Swelling on the top of the joint. Tenderness to the big toe joint to touch. Stiffness to the big toe joint with attempted movement. Difficulty wearing any shoe with a heel. 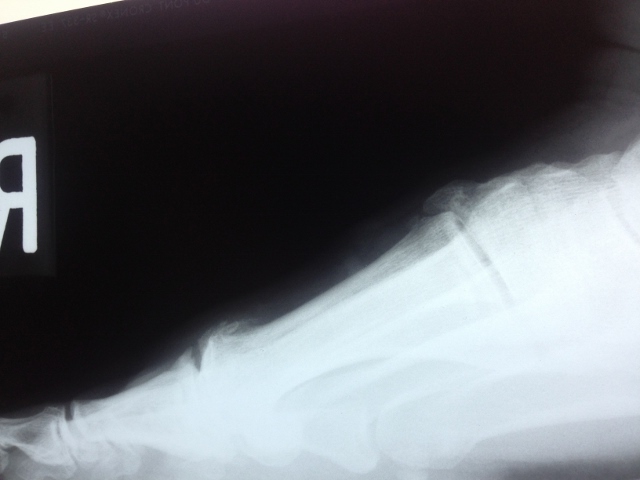 Usually, reveal bone spurs on the top of the joint. Over time bone spurs progress throughout the joint and there is a progressive loss of joint space. Evaluation to identify the primary cause. Change in shoes (stiff sole, low heel). Orthotic to unload the joint and transfer pressure to the central foot. Mild arthritis – Removal of abnormal cartilage and bone to allow improved joint motion. 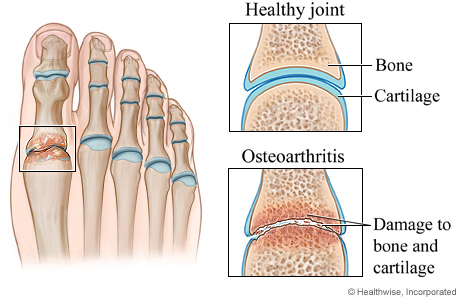 Moderate arthritis – Removal of abnormal bone and cartilage and reconstructing the joint to allow more mobility. 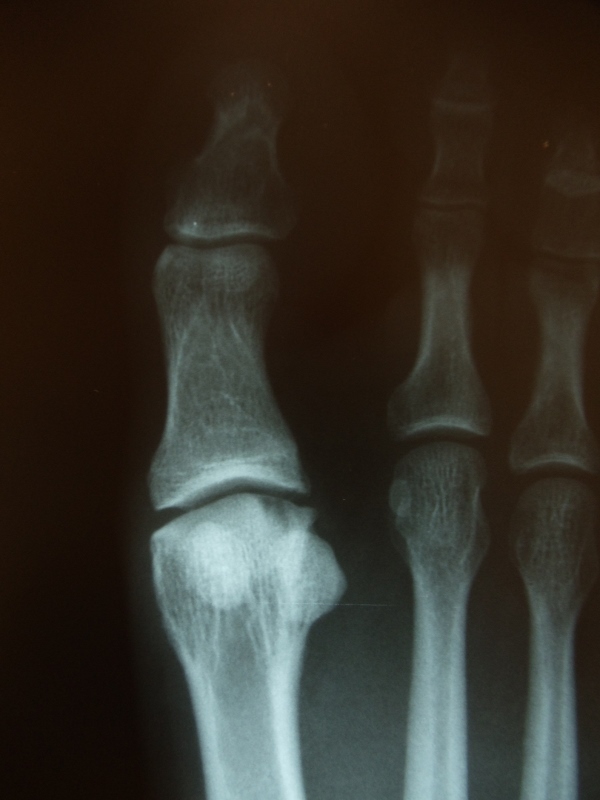 Advanced arthritis – May necessitate an implant to the big toe joint or a fusion of the joint to eliminate pain and allow activity. 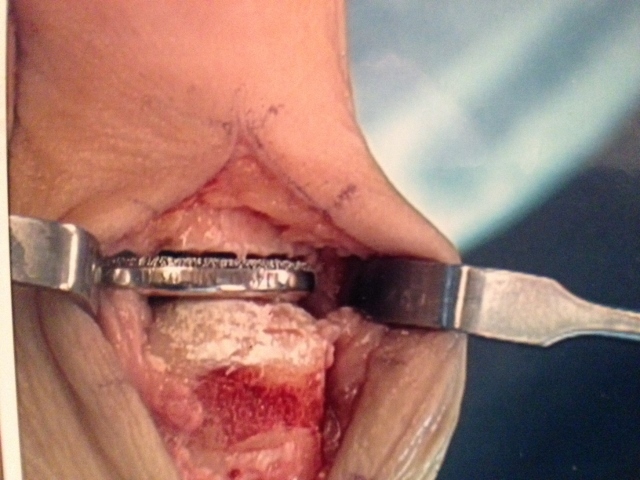 In the senior patient with advanced changes the joint can be removed, which will eliminate the pain and allow mobility. There is narrowing of the joint space and spurring around the joint. 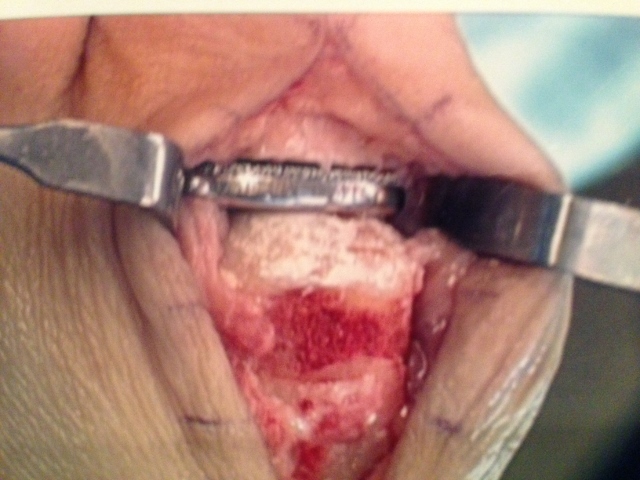 A Decompression Osteotomy is performed. Alternatively, a total implant is used to replace the 1st MPJ. Patient had end-stage arthitis with no motion left at the joint and a constant pain with walking and standing. 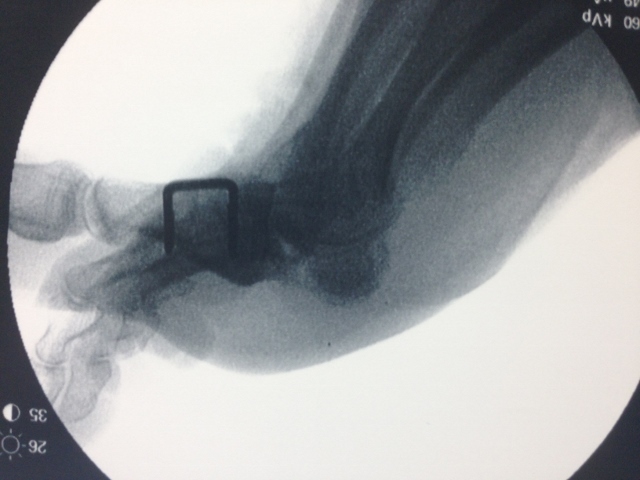 A permanent 1st mpj fusion is performed with crossing screws. Below is an example of a patient with severe arthritis of the first MPJ with complete breakdown of the joint structure with alteration in bone shape and dislocation of the joint. Also note the overlapping dislocation of the second and third toes. 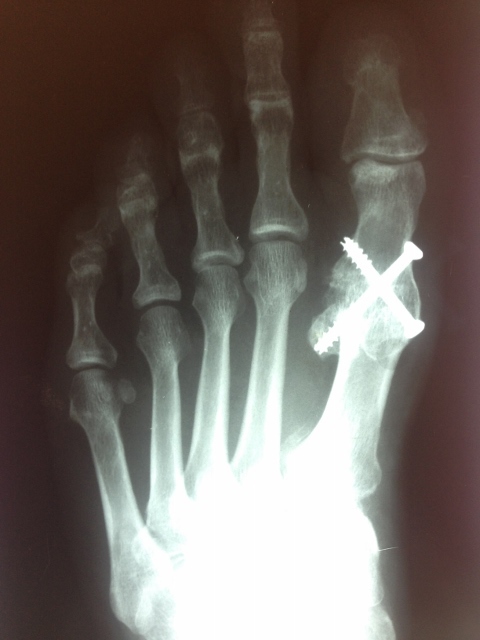 The following is an x-ray of the same patient after surgical repair of the joint with fusion surgery involving two Steinmann pins that will hold the great toe in place until fusion occurs. 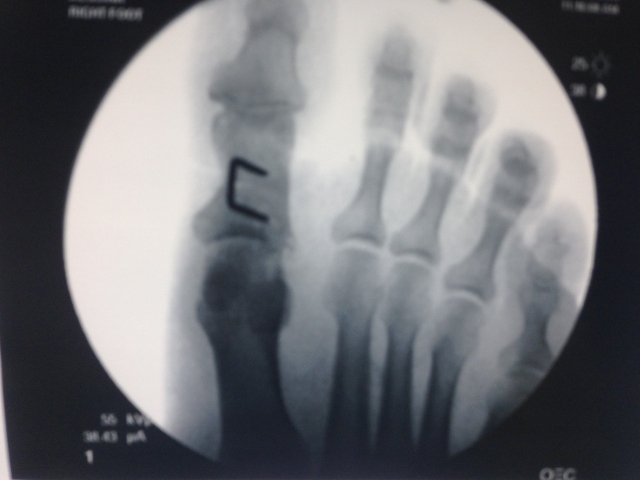 There are also screws placed at the heads of the second and third metatarsal heads with Kirschner wires from correction of dislocated second and third toes. 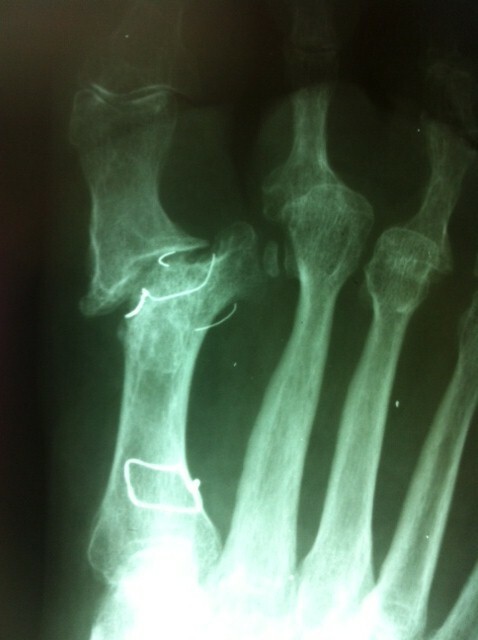 The screws hold in place the cut bones of the ends of the metatarsals that allow increased joint space and slack enough to relocate the toes. Pictured below is the patient who is 5 months post fusion surgery (arthrodesis) of the First MPJ with complete healing. 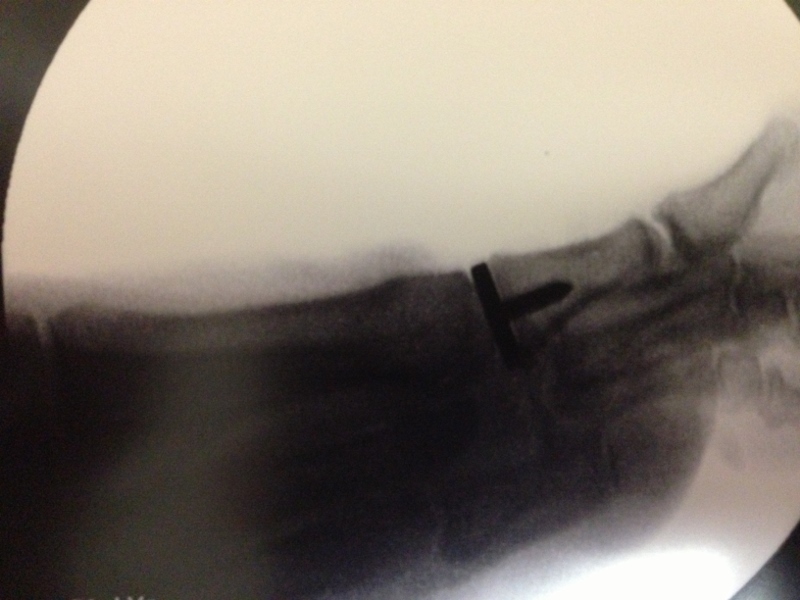 Picture of a 50 year old man that had pain with activity in his big toe joint. He had prior surgery with different surgeon. 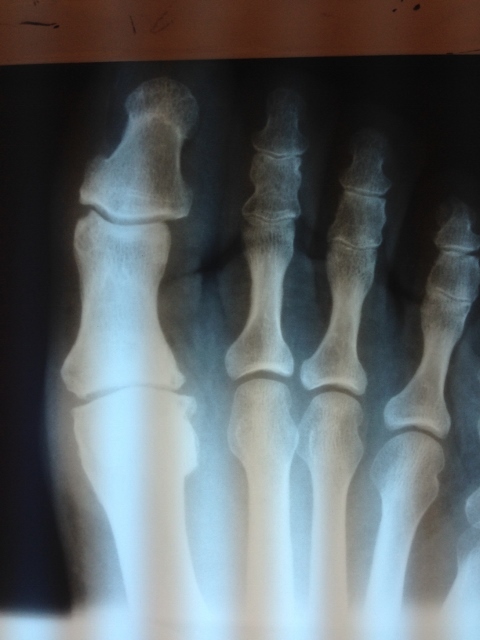 Xrays show deformity of big toe (hallux interpahalangeus) which causes increased stress on the outside of the big toe joint. 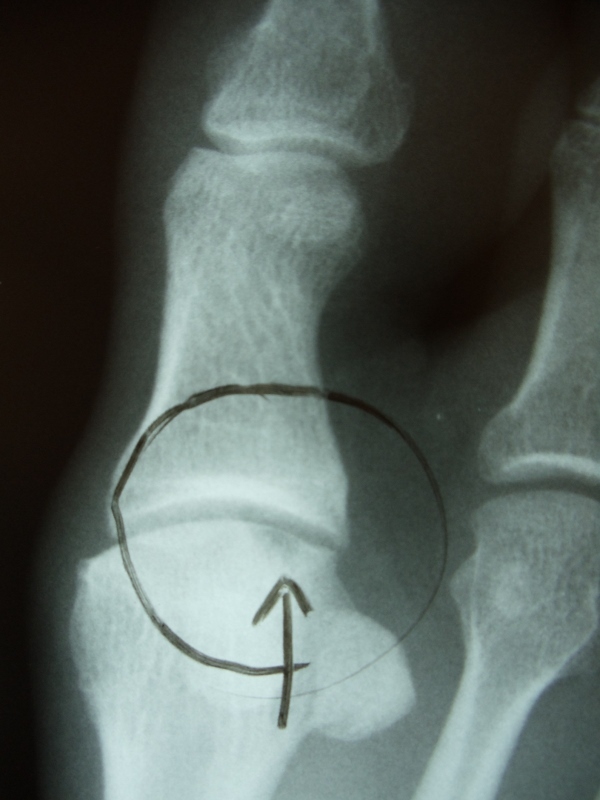 There is spurring at the dorsal and lateral aspect of the 1st metatarsal head. These are intraoperative pics after surgery. 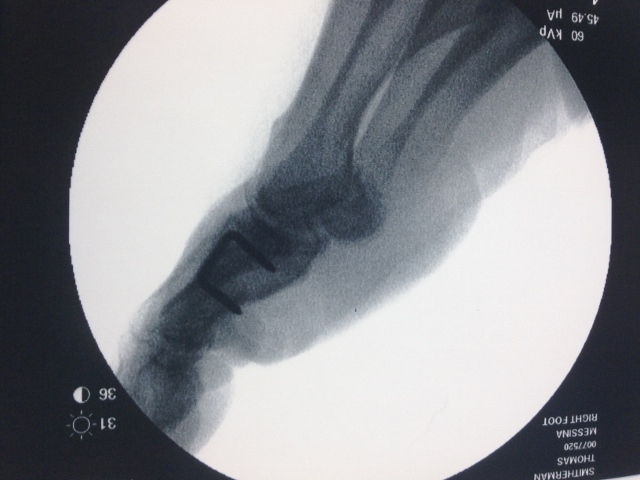 An osteotomy was performed of the big toe to realign the toe and decrease stress in the joint. 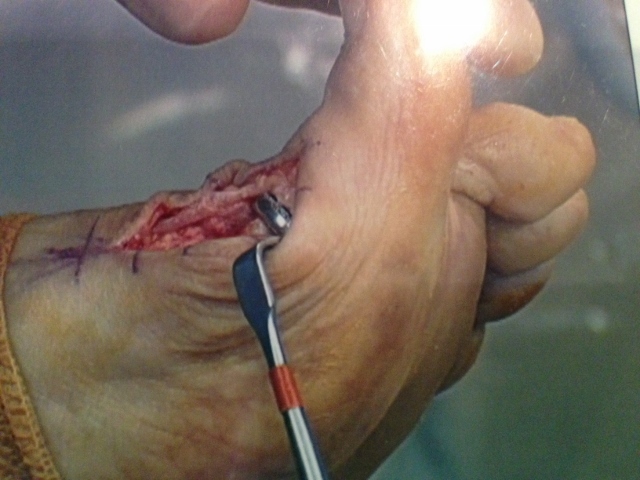 A staple was placed to close the cut in the big toe bone. These are lateral views where cheilectomy can be seen. There is over 90 degrees of extension of the big toe joint seen on the lower left picture. 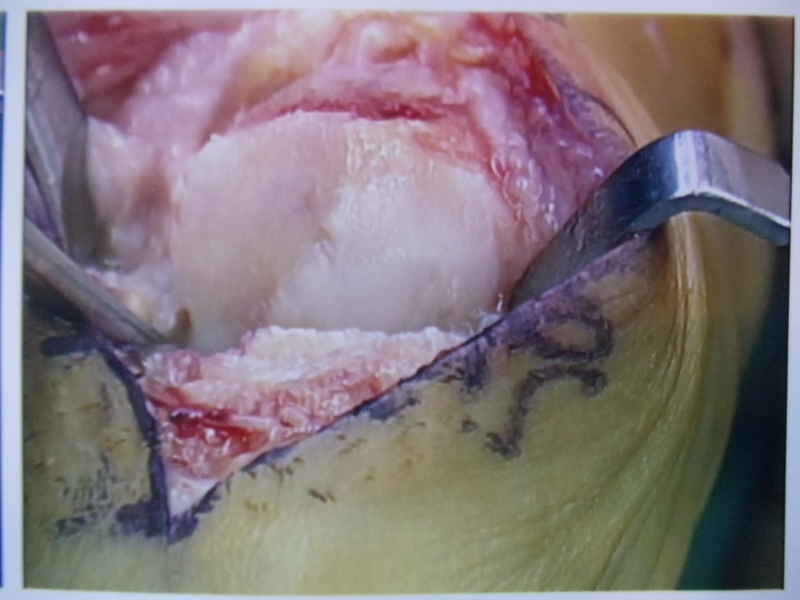 More Pics of Osteochondral Defect of 1st Metatarsal head Below. 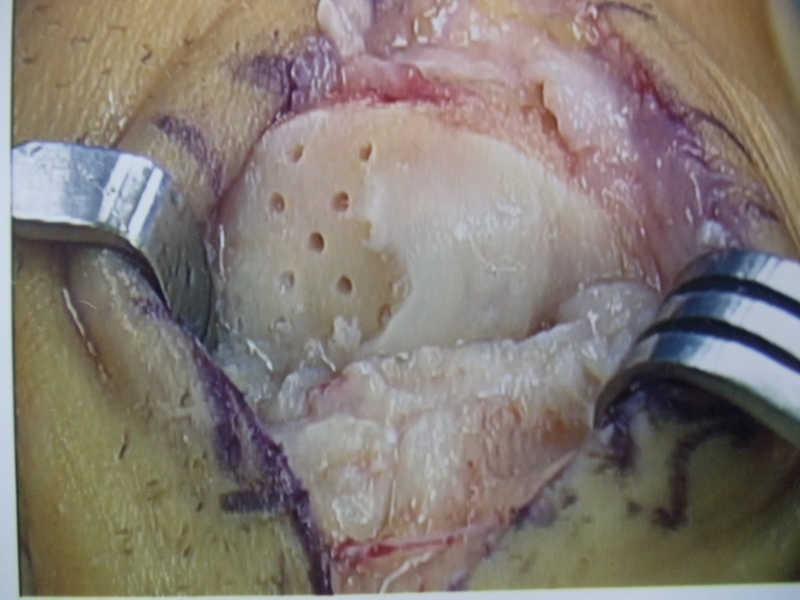 After Cleaning up the bone spurs around the head, we perform subchondral drilling with a 1.1 mm drill bit. 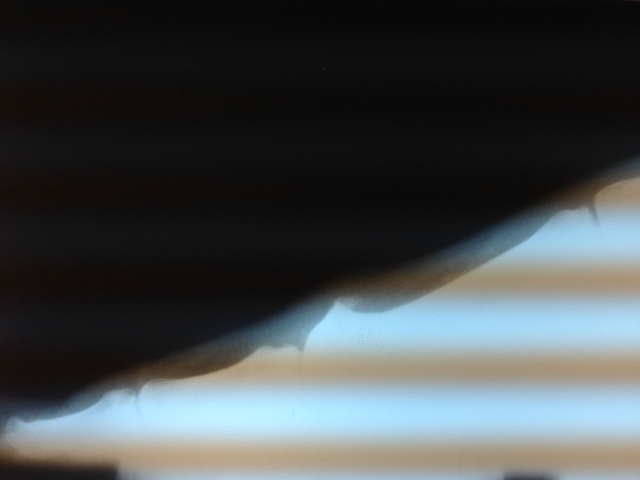 The size of the defect can be seen on the last 2 pics. 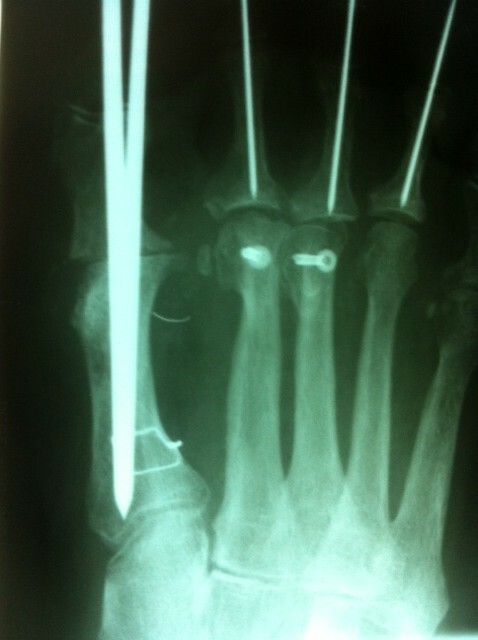 Below, Intraoperative Pics of 1st Metatarsal Osteotomy with cheilectomy and Subchondral drilling of OCD. 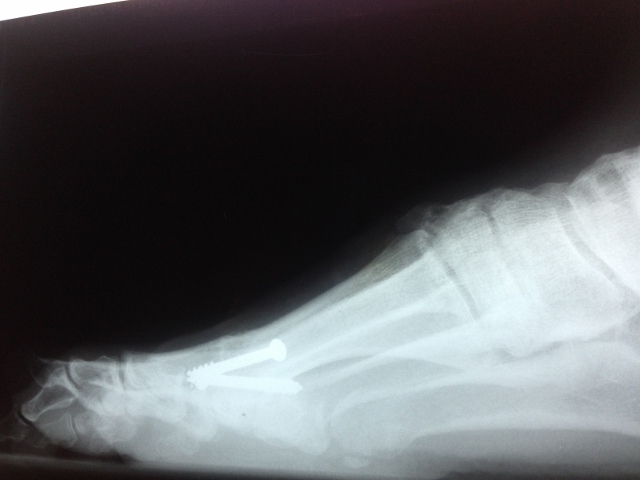 The 2 titanium screw heads can be seen at the top of the bone.